This companion to the WonderWorks reading series expands and dives deeper into the weekly vocabulary, comprehension skills, and writing. 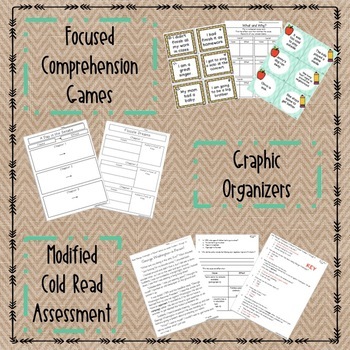 While using the WonderWorks series, I noticed that my special education students needed more practice in order to gain mastery of the skills and I needed more accountability for my students! This unit focuses on the leveled reader. There are vocabulary cards, a comprehension game, and a word work game. 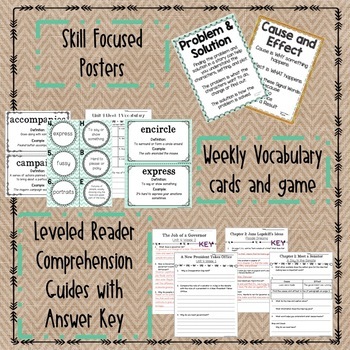 In addition, I typed up chapter guides for each chapter of the approaching leveled reader. These help direct thinking and support writing. To wrap up the week/skill, I have included a modified test. 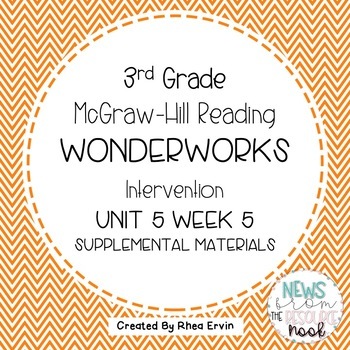 The McGraw-Hill WonderWorks reading series was created for Special Education groups/classrooms and access to the materials is needed to use this product. See Preview to see all that's included!